Onlookers and readers who have been to Plaza Low Yat recently would have noticed this very interested signage on the ground floor. 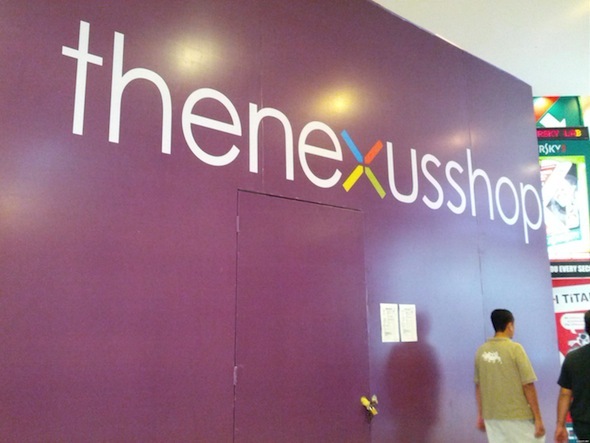 Touted as “The Nexus Shop”, this boarded up store leads the untrained eye to think that the Google Nexus 7 will be coming soon enough. Don’t be fooled however as inside sources from Google Malaysia have said that as far as they know, this is not anything to do with Google with the exception of the blatant theft of the logo and colours. It is worth noting that there are no brick and mortar stores around the world called “The Nexus Shop” by Google and with this goes the shops last shred of credibility. It’s only a matter of time before a swift ban hammer will rain down upon the guys who have this store just like the (in)famous Engadget Store fiasco. Thank you to our twitter follower @Weisheatan for the heads up! Think The Nokia 3310 Memes Are a Myth? Think Again.